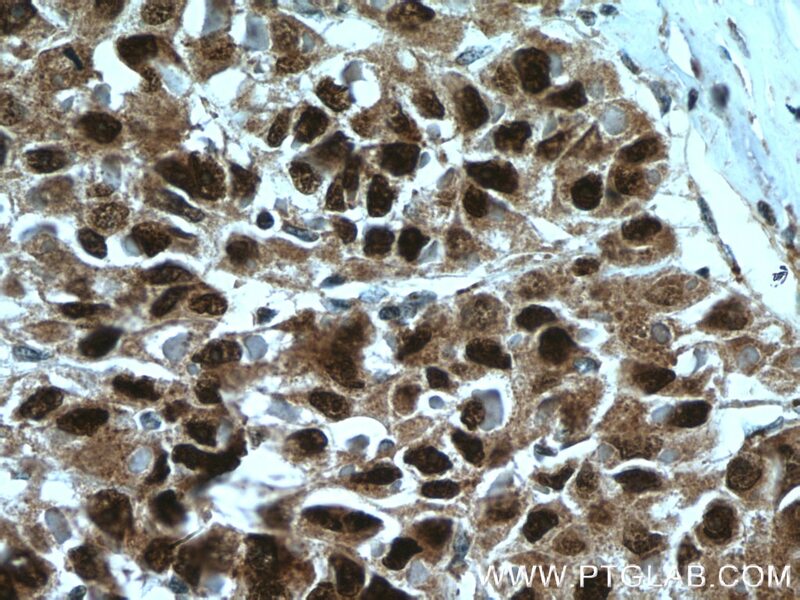 Immunohistochemical analysis of paraffin-embedded human liver cancer tissue slide using 24777-1-AP( Caspase 2/p18 antibody) at dilution of 1:100 (under 10x lens) heat mediated antigen retrieved with Tris-EDTA buffer(pH9). 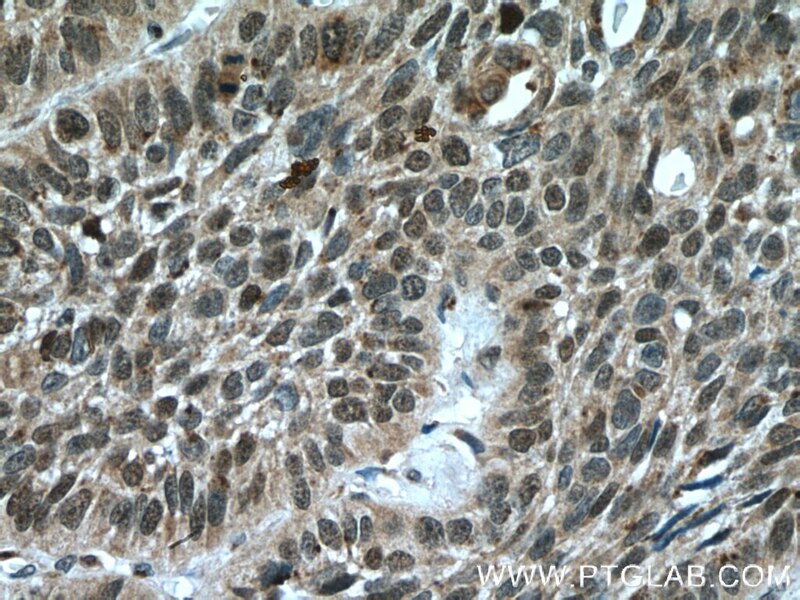 Immunohistochemical analysis of paraffin-embedded human liver cancer tissue slide using 24777-1-AP( Caspase 2/p18 antibody) at dilution of 1:100 (under 40x lens) heat mediated antigen retrieved with Tris-EDTA buffer(pH9). 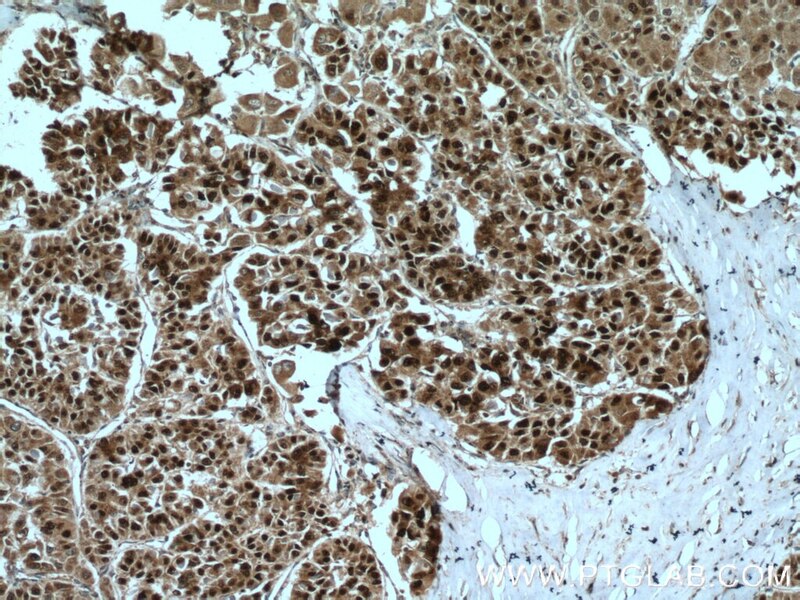 CASP2(Caspase-2) is also named as ICH1, NEDD2 and belongs to the peptidase C14A family.It is involved in the activation cascade of caspases responsible for apoptosis execution and might function by either activating some proteins required for cell death or inactivating proteins necessary for cell survival.It has 2 isoforms produced by alternative splicing and can exists almost as a dimer in solution(PMID:15865942). 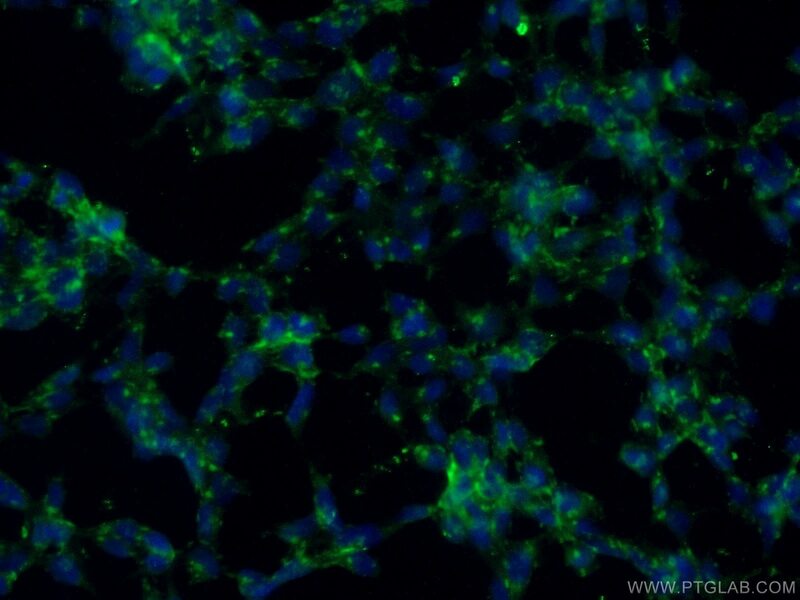 Immunohistochemical analysis of paraffin-embedded human lung cancer tissue slide using 24777-1-AP( Caspase 2/p18 antibody) at dilution of 1:100 (under 10x lens) heat mediated antigen retrieved with Tris-EDTA buffer(pH9). 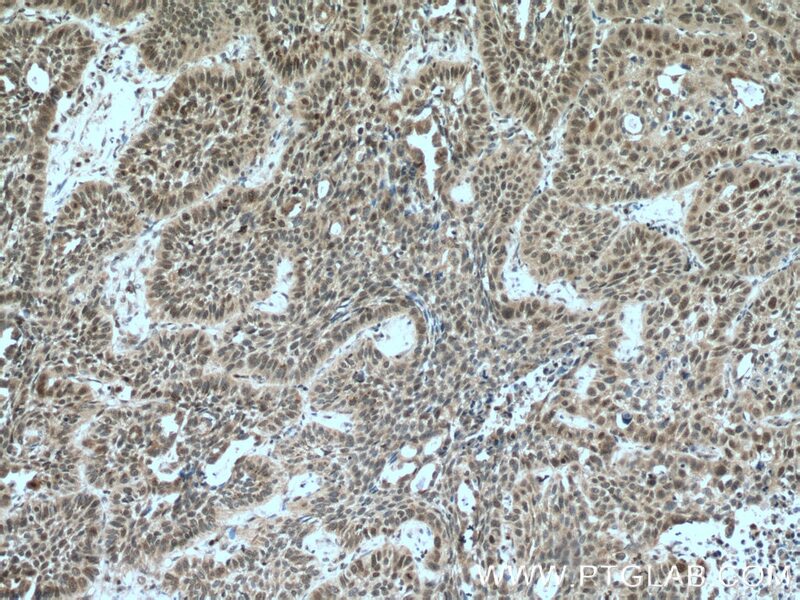 Immunohistochemical analysis of paraffin-embedded human lung cancer tissue slide using 24777-1-AP( Caspase 2/p18 antibody) at dilution of 1:100 (under 40x lens) heat mediated antigen retrieved with Tris-EDTA buffer(pH9).